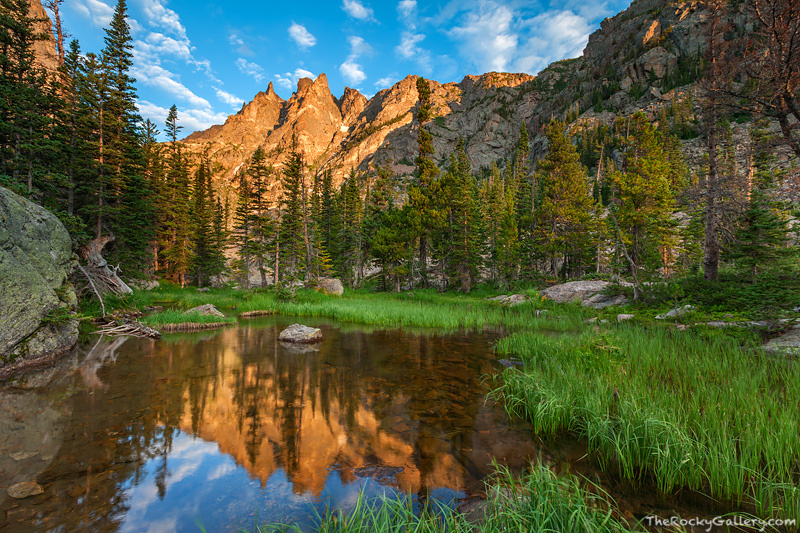 Flattop Mountain reflect in a mountain tarn just below Emerald Lake in Rocky Mountain National Park. The green grasses of the Colorado high country frame this pool along Tyndall Creek perfectly as clouds skirt the sky above this classic Rocky Mountain view. Photo © copyright by Thomas Mangan.